January is National Walk Your Dog Month. This month, I had a plan to take a picture during Shiner's outside walk every day. I soon discovered this was rather difficult without a fully charged phone all of the time... Even though I did not get a photo every single day during walk time, I did take more pictures than usual and thought I'd share some of my favorites! One of my favorite backdrops in the fall and winter are these bushes covered in red berries. 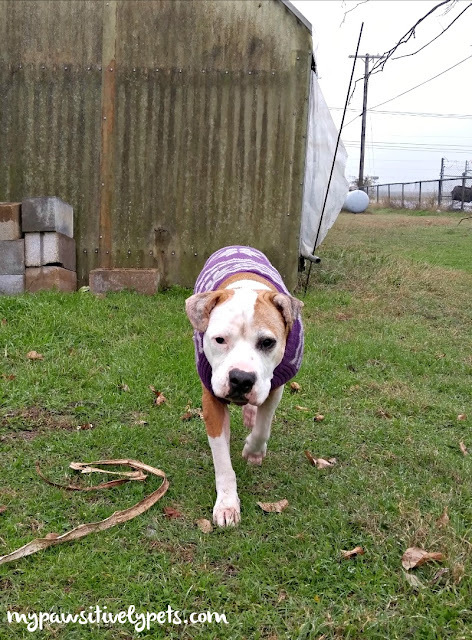 It was a cold and wet day, so Shiner made sure to wear her favorite purple sweater! Shiner had a fun PetSmart shopping trip. 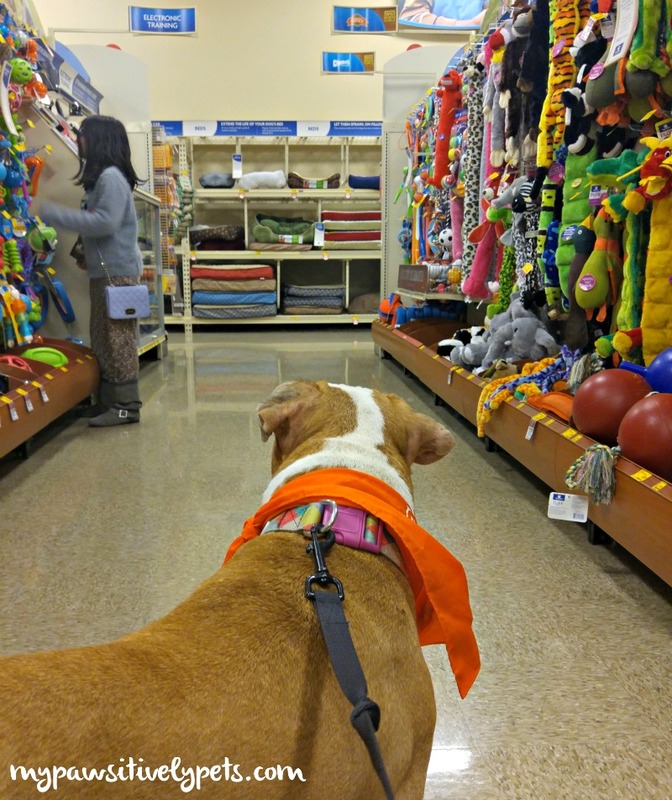 Here she is picking out a new toy. Of course, lots of rolling in the dirt is in order! There were some cold and wet days in January, but we also had many bright and sunny days! Have a wonderful Wednesday! And for more BlogPaws Wordless Wednesday blog posts, click here! Looks like you had a great month of walking! Nice job!! 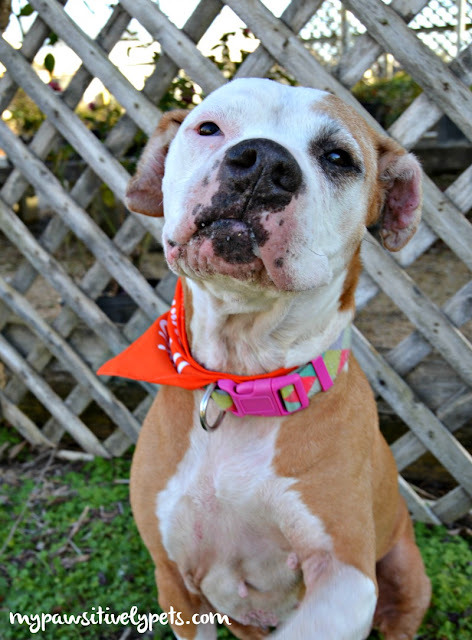 Shiner is such a pretty girl! I love the photo of her rolling in the dirt. :) She has so much personality. 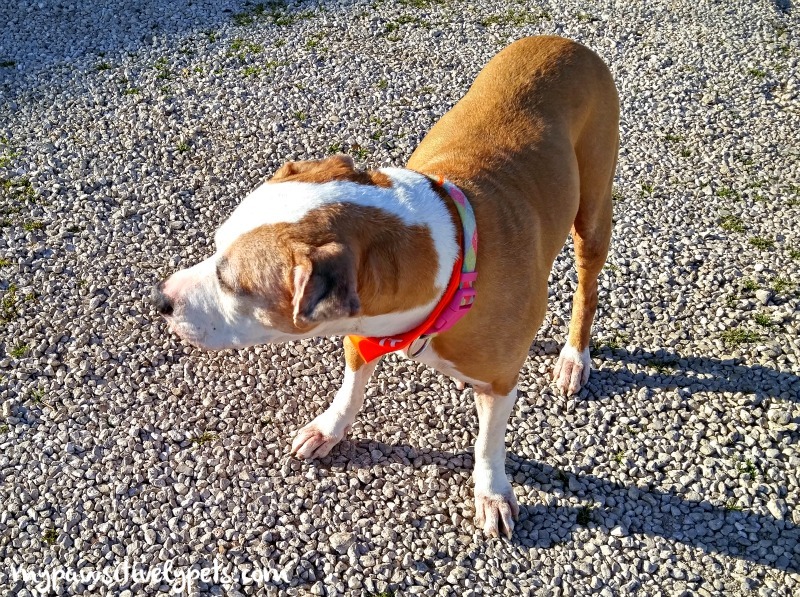 Looks like she loves being outside with you! Aww -Shiner is awesome - love it! 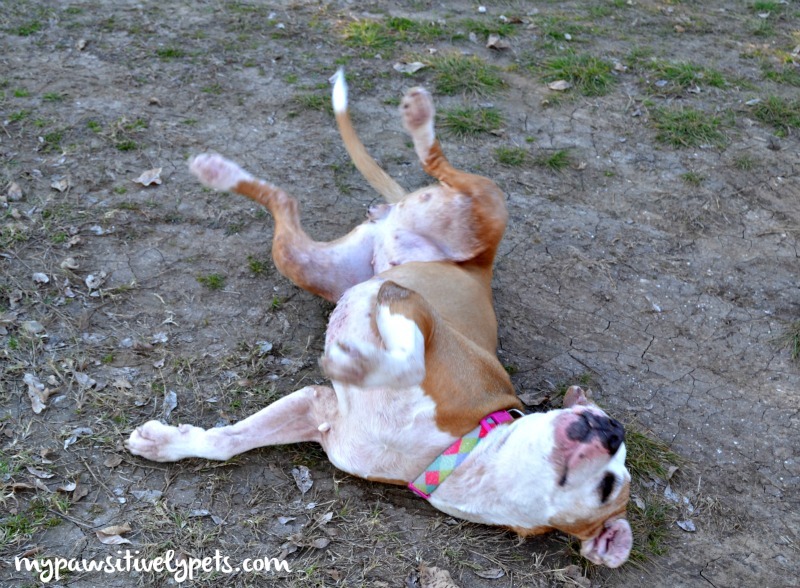 If only the weather around here were warmer to roll around outside! Love the photos! Shiner looks like she's really enjoying Life. She's such a cutie. That's a mighty festive collar you've got on there girlfriend. I love all the bright colors! 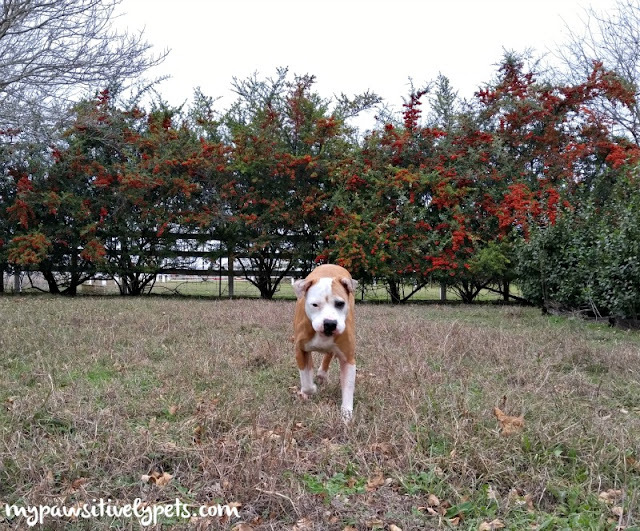 It looks like Shiner had a fun month of walking, and you got some great photos! She is such a cutie!